Pingan is a native of Sarawak. It is not a very commonly growing plant. Rather it has been cataegorised as “rare” by many botanists. An evergreen tree, upto 25 m tall, twigs 10 cm thick, rugose hispid. Leaves elliptical, 30-50 cmx16-25 cm, petiole 1-3 cm long. Fruit a syncarp, subglobose, 5 cm in dia, orange brown at maturity, densely covered with 5 mm long subby projections; fruit stalk 5.5 cm long. The fruits are eaten by local people. They have quite good flavour. As already stated, pingan is not a very commonly growing plant and is not at all under cultivation. Therefore more trees of this good tasting fruits needs to be planted to save it from extinction. 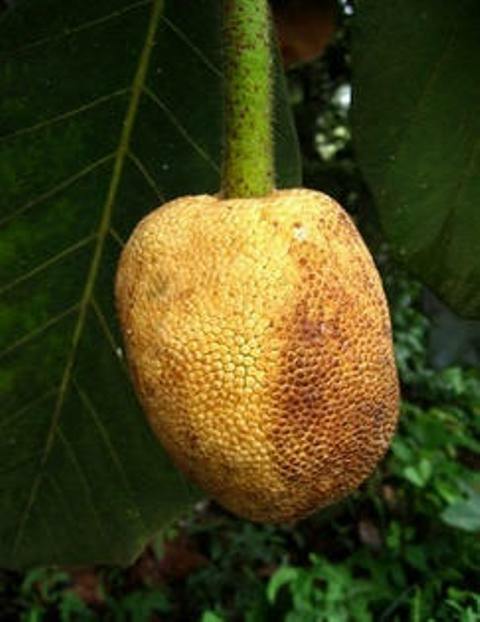 Judging from the climate prevailing in its area of occurrence, this fruit will grow in at places having hot and humid climate. 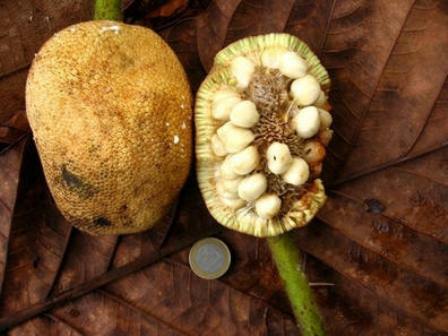 It should possible to propagate it by seed and air layering like it other relatives of the genus Artocarpus.